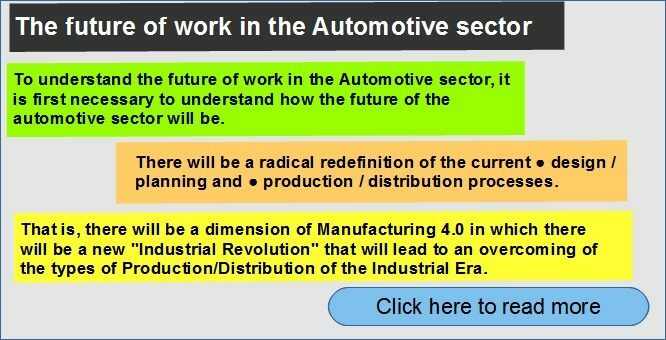 To understand the future of work in the Automotive sector, it is first necessary to understand how the future of the automotive sector will be. There will be a radical redefinition of the current ● design / planning and ● production / distribution processes. That is, there will be a dimension of Manufacturing 4.0 in which there will be a new “Industrial Revolution” that will lead to an overcoming of the types of Production/Distribution of the Industrial Era.